• Oval style stud mount accomodates 5 mm and 6 mm bolts, offering tolerance compensation on bolt location. • Stud mount design requires low installation force while providing exceptional stud retention to go on easy and keep bundles secure. • Oval style stud mount accomodates 5 mm and 6 mm bolts, offering tolerance compensation on bolt location. • Stud mount design requires low installation force while providing exceptional stud retention to go on easy and keep bundles secure. 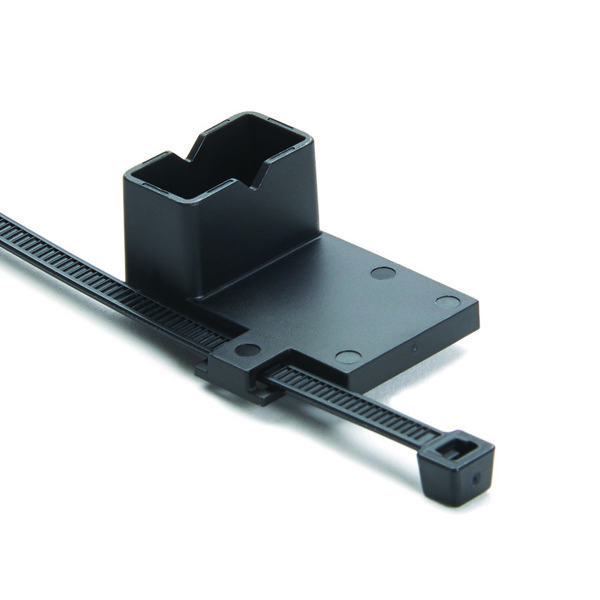 These two-piece fasteners are pre-assembled and offer a simple and versatile method of bundling and mounting cables. Sold as an unassembled set, this oval fir tree and tie combination allows the user to install the tie in two different directions, securing the bundle perpendicular or inline to the oval mounting hole.